The TRANSITIONS® Modular Entry Ramp - is perfect for doorways to create a smooth and strong entry and exit. 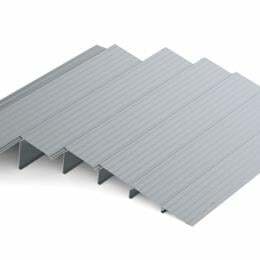 It is made with high-strength aluminum that will never rust or corrode and has an extruded slip-resistant surface to increase safety. 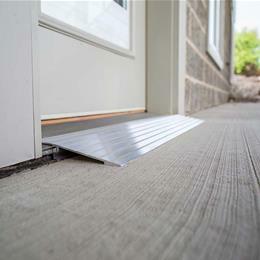 It can be used for doorways sliding glass doors and raised landings. It is lightweight and easily transported from one place to the next for added convenience. 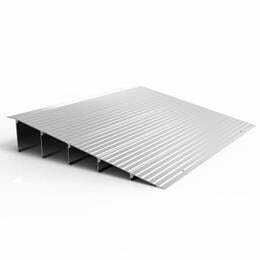 Browse through the TRANSITIONS® Modular Entry Ramp features specifications and printable materials to learn more. 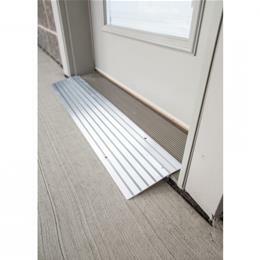 The TRANSITIONS® Modular Entry Ramp is made from high-strength aluminum that will not rust or corrode and can support up to 700 pounds, 350 pounds per wheel or caster. The TRANSITIONS® Modular Entry Ramp can be taken from one location to another with ease. With its aluminum structure, it is strong and lightweight enough to travel with. 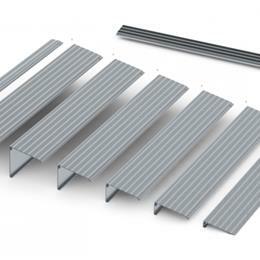 The TRANSITIONS® Modular Entry Ramp features a safe, extruded slip-resistant surface for superior traction. 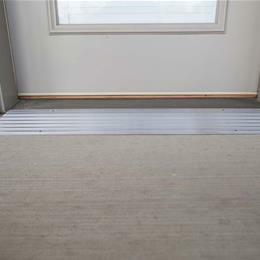 The TRANSITIONS® Modular Entry Ramp is available in 1, 1½, 2, 3, 4, 5, and 6 inch heights.